According to former NHL president Gil Stein, another factor was that the Karmanos/Rutherford group wanted to pay only $29 million before starting play, while the Esposito group was one of the few willing to pay the entire $50 million expansion fee up front. 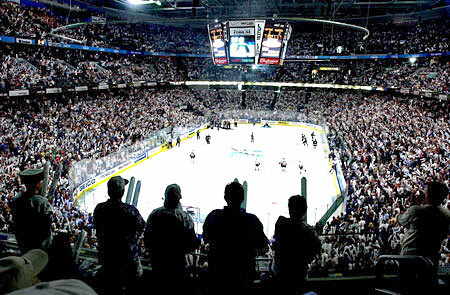 The following season saw the Lightning shift to the Eastern Conference’s Atlantic Division, as well as move into the Florida Suncoast Dome a building originally designed for baseball in St. Petersburg, which was reconfigured for hockey and renamed “the Thunderdome”. The stadium, built originally as the Florida Suncoast Dome, was first used in an attempt to entice the Chicago White Sox to relocate if a new ballpark were not built to replace the aging Comiskey Park. The governments of Chicago and Illinois eventually agreed to build a New Comiskey Park now known as U.S. Cellular Field in 1989. The 2004 Stanley Cup playoffs for the National Hockey League began on April 7, 2004, following the 2003 – 2004 regular season. The playoffs ended with the Tampa Bay Lightning winning the Stanley Cup with a seven game series win over the Calgary Flames on June 7. It was Tampa Bay’s first Stanley Cup victory. It was the Flames’ third final appearance, as they came this far in 1986 and 1989, winning the latter. The sixteen qualified teams, eight from each conference, played best-of-seven games for conference quarterfinals, semifinals and finals. The winner of each conference proceeded to the Stanley Cup Finals. The format was identical to the one introduced for the 1999 playoffs. Don Cherry called this the greatest playoffs he has seen in 20 years. The Tampa Bay Lightning is a professional ice hockey team based in Tampa, Florida. It is a member of the Atlantic Division of the Eastern Conference of the National Hockey League (NHL). Tampa Bay has one Stanley Cup championship in their history, in 2003 – 2004. The team is often referred to as the Bolts, and the nickname is used on the current third jersey. The Lightning plays home games in the Amalie Arena in Tampa. 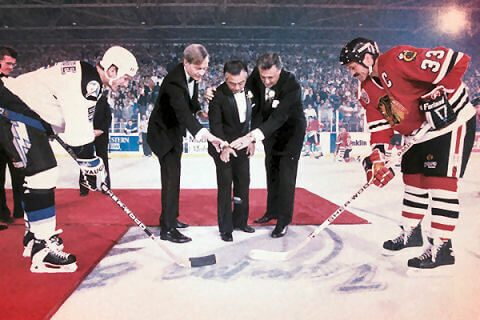 Lightning – In 1990, a thunderstorm served as inspiration for then-president of the Tampa Bay Hockey Group Phil Esposito’s decision to name his team the Lightning. Esposito said that, in addition to being a natural characteristic of the Tampa Bay area, Lightning expressed the fast action of a hockey game. 1998 – 1999 / Arthur L. Williams, Jr.
Who is the greatest Tampa Bay Lightning? The Tampa Bay Lightning is a professional ice hockey team based in Tampa, Florida.